Will Canada finally inspire a wave of celebration on World Oceans Day, June 8? Prime minister Justin Trudeau promised to lead G7 nations on global marine protection during Canada’s presidency this year, a welcome change after decades of inaction left just one percent of our oceans formally safeguarded. The government is charging ahead to meet its 20 international Convention on Biological Diversity conservation targets. Canada met the 2017 goal to increase ocean protection to five percent and is moving to protect at least 10 percent of coastal and marine areas by 2020. That included creating marine protected areas on all three coasts: Anguniaqvia niqiqyuam in the Northwest Territories, Hecate Strait and Queen Charlotte Sound Glass Sponge Reefs in British Columbia, and St. Anns Bank in Nova Scotia. Canada also has two marine conservation areas on Lake Superior and the St. Lawrence River, and two others off B.C.’s northern coast near completion, including Gwaii Haanas. Canada has the longest coastline in the world, bordering three oceans, but has left many globally significant biodiversity areas without protection. Hudson Bay estuaries host the world’s largest beluga whale calving area. More than 55,000—about a quarter of the world’s population—migrate every year from their winter ranges to the mouths of the Seal, Nelson and Churchill rivers. Warm-water estuaries shelter calves and provide fish and shellfish for them to eat. Migratory birds also rely on these estuaries, and the ecotourism benefits for Manitoba further strengthen the protection rationale. Inuit traditional knowledge about hunting areas for bowhead and beluga whales, narwhal, walrus and polar bears helped identify this area in need of protection. Effectively safeguarded biodiverse areas limit human activities such as shipping, mining, oil and gas exploration, and destructive fishing practices. Although research shows they should exclude extractive activities, the federal government recently approved offshore oil exploration on Canada’s East Coast in an area designated as a marine protected area only a few months earlier. Ocean conservation can be achieved through marine protected areas, Indigenous conserved and protected areas, marine zones, protected networks, conservancies and “other effective area-based conservation measures.” Regardless of the moniker, protection must be based on sound ecological principles and ecosystem needs. Standards must be meaningful and affirm Indigenous rights and involvement in planning and governance. Many countries—from the U.S. to Brazil to Britain—are creating large marine protected areas to meet international conservation targets. But as the state of overfished, warmer, acidified oceans cluttered with plastics becomes more perilous, some scientists question prioritizing the size of the protected area over its quality. Drawing lines on a map to meet targets doesn’t increase biodiversity. We should create protected areas where science says they’re needed most. Some argue it’s more effective to focus on smaller areas where fish spawn and feed and where threats from human activities are highest. Coastal waters have a greater diversity of species and face more immediate threats from energy extraction, tourism, development, habitat degradation and overfishing than open oceans. For example, coral reefs cover less than 0.1 percent of the ocean floor but are home to 25 percent of all marine species. Signs of hope for Canada’s oceans are emerging. Proposed amendments promise to strengthen Canada’s flagship ocean law, the Oceans Act. With growing support for sustainable fishing practices that include using non-destructive gear, fisheries management should shift to targeting only abundant fish and setting clear quotas. There’s hope that recently proposed Fisheries Act changes will again secure requirements for fish habitat protection. Challenges loom on our ocean horizon. All marine life along Canada’s Pacific coast is vulnerable to greater risks of oil spills from the sevenfold increase in tanker traffic that would come with the Kinder Morgan pipeline expansion. Greater attention must be given to Indigenous rights and meaningful co-governance in marine areas, as is happening in northern and central British Columbia. The 76 remaining resident orcas on B.C.’s South Coast need immediate measures, such as chinook fisheries closures, better stream habitat protections for salmon and reduced shipping noise. Moving on all fronts to protect oceans couldn’t be more important. This World Oceans Day, let’s remember they are essential to life, providing most of the oxygen we breathe, along with food for the body and mind. 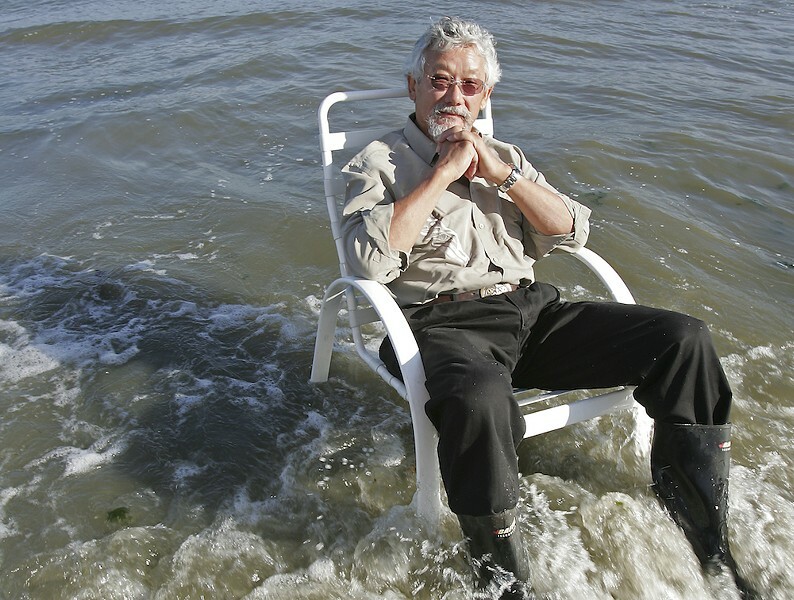 Science Matters is a weekly column on issues related to science and the environment from David Suzuki, written with contributions from David Suzuki Foundation senior communications specialist Theresa Beer. Learn more at davidsuzuki.org.